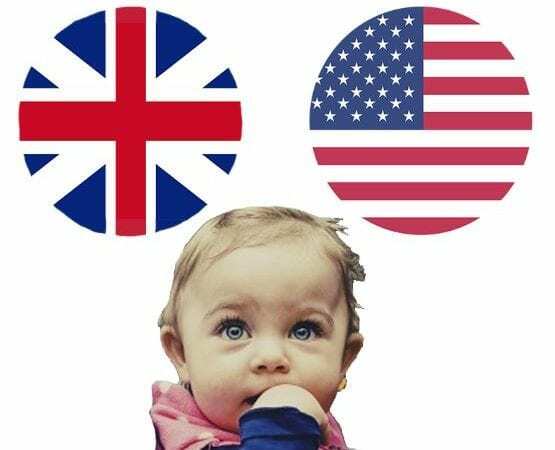 Are British Babies Different from American Babies…or is it the Doctors? Why is plagiocephaly treatment recommended as a standard intervention for babies in the USA while babies in the UK are expected to self-correct? Throughout Britain, countless parents of babies suffering from varying degrees of flat head syndrome are being sent home by the NHS and told to ‘wait and see’, with the reassurance that the condition will always fully improve on its own. Time is being wasted as parents wait and, despite continual repositioning and sleepless nights, they see little or no result for their efforts. As helmet therapy is only able to help infants under the age of 14 months while the skull is still flexible and growing rapidly, the UK’s trivialising stance on plagiocephaly treatment is seeing thousands of children miss out on the opportunity to have a ‘normal’ head shape. Being the parent of a child suffering from plagiocephaly in the UK is frustrating to say the least. By including helmet therapy in the recently published forty ‘unnecessary interventions’, major British medical institutions such as the Royal College of Paediatrics and Child Health (RCPCH) continue to dismiss one of plagiocephaly’s most effective treatments. Meanwhile, despite the NHS acknowledging that parents may wish to consider helmet treatment for their child, it deems it an unnecessary, unproven, potentially distressing and expensive option. This reluctance to offer sound, evidence-based advice about helmet therapy for affected children inevitably leaves infants open to psychosocial and emotional difficulties throughout childhood. If unmonitored and untreated, the reported increased risk of associated psychomotor and educational delays are often being missed for these children. ‘a fairly substantive body of non-randomized evidence that demonstrates more significant and faster improvement of cranial shape in infants with positional plagiocephaly treated with a helmet as compared to conservative therapy, especially if the deformity is severe, and provided that helmet therapy is applied during the appropriate period of infancy’. With such a comprehensive body of evidence to support its findings, The American Academy of Pediatrics, which is the USA’s leading authority in child health, recently revised its initial stance on plagiocephaly treatment by endorsing the Congress of Neurological Surgeons’ research. Now, parents of children suffering from this distressing condition across the USA are guided to consider helmet therapy as an effective and invaluable treatment for their child. “All the ‘mights’ and promise of hair disguises, didn’t really cut it for James (Julia’s husband) and I. Even though the odd person commented on the shape of Oscar’s head, we tried to be thick-skinned. If your child had severely crooked teeth, would you not get them a brace? That’s how I see this. Oscar’s head was badly misshapen. Like a brace would straighten teeth, Oscar’s helmet helped correct the shape of his skull. For us, for Oscar – this treatment has been worth its weight in gold. Love and thanks to Technology in Motion for reshaping Oscar’s head, and therefore his future”. And Julia is not alone, numerous parents across the country are facing the same distressing dilemma right now. “With the NHS not set to review its policy on helmet therapy until 2018, I am extremely concerned about the number of young babies who will needlessly retain a severe head shape deformity throughout their life because the advice being given by their doctors is insufficient. They are not giving clear guidance on the full range of options available thereby denying children the unbiased information about the treatments that are available to correct these deformities. It seems grossly unfair that parents are being continuously ‘fobbed off’ when what they need is sound advice and support. It is clear that an urgent revision of advice and treatment regimes is well overdue”. Evidence-based practice is the guiding star for all health professionals. In light of the breadth of evidence and support overseas, the question has to be posed as to whether the UK medical professions will revise their dogmatically unfounded resistance to plagiocephaly treatment to give babies across the country the opportunity to live with a ‘normal’ head shape or, whether they will continue to offer misinformed and biased advice to concerned parents?